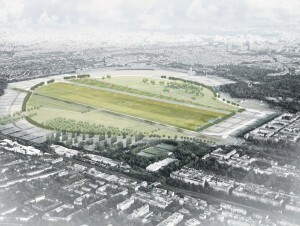 On Friday, Berlin city officials unveiled the finalists in a landscape design competition to decide the future of historic, out-of-service Tempelhof Airport. Proposals for the airport have included erecting mountains, digging lakes and establishing luxury medical centers. While less outrageous, the current crop of proposals are far more likely to happen.